Mike will be there with The Kill Screen, and Dead Roots. Saturday the 7th of February. Family friendly comic convention in the centre of Maidstone, Kent. With the new venue, Royal Star Arcade, proving to be a massive hit, we’re looking to build on the success of the previous event with more artists & writers and a number of big names, including the possibility of an international guest. Amazingly talented guests, vendors, bar, cafe and cosplay. Mike, Martin Simmonds, and Mike Stock will be there with Eponymous, The Kill Screen, and Dead Roots. Sunday the 15th of February. Come to L.S.C.C. to meet all your favourite creators! We’ll have dozens of artists and writers from the U.K., U.S. and Europe. Mike and Josh Sherwell will be there with The Kill Screen. Saturday and Sunday the 14th and 15th of March. ‘Our aim is simple: to bring together comic creators of all styles, mediums and levels to join together in one equal space and promote the good word of sequential art. Mike, Josh Sherwell, and Michael Stock will be there with The Kill Screen, Dead Roots and Samurai Slasher. Friday, Saturday, and Sunday the 22nd to the 24th of May. Mike and Josh Sherwell will be there with The Kill Screen. Friday, Saturday and Sunday the 17th, 18th and 19th of July. Mike and Josh Sherwell* will be there with The Kill Screen. Saturday and Sunday the 25th and 26th of July. Mike, Martin Simmonds, and Mike Stock will be there with Eponymous, The Kill Screen, Samurai Slasher and Dead Roots. Sunday the 23rd of August. Melksham will be filled with a day of comics books, games, sci-fi and pop culture madness! Mike, Josh Sherwell, and Mike Stock will be there with The Kill Screen. Saturday and Sunday the 29th and 30th of August. 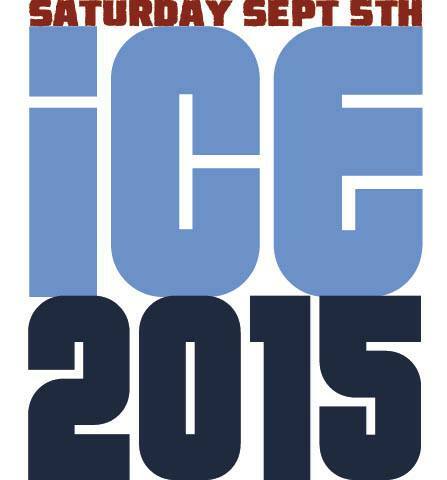 ICE is an independently run comic convention brought to you by Event Director Shane Chesbey, who previously helped to organise now famous events like BICS and Comics Launchpad. Shane is helped by a dedicated group of staff and volunteers who love comics just as much as you do. We believe in exposing our visitors to a wide variety of comics from the most exciting new superheroes to the coolest indy and small press books. Our guest list reflects this too with guests from both the big publishing companies and the smallest publishers. Like never before Blackpool will play host to the brightest and best Comic Con that the UK has to offer. The date is now set for 12 September 2015, at the world famous Winter Gardens Blackpool where we will play host to a plethora of stars from both the big and small screens. Is it a bird? Is it a plane? No it’s Leamington Spa’s first Comic Con! Mike, Josh Sherwell, and Michael Stock will be there with The Kill Screen, Dead Roots and Samurai Slasher. Friday, Saturday, and Sunday the 23rd to the 25th of October. 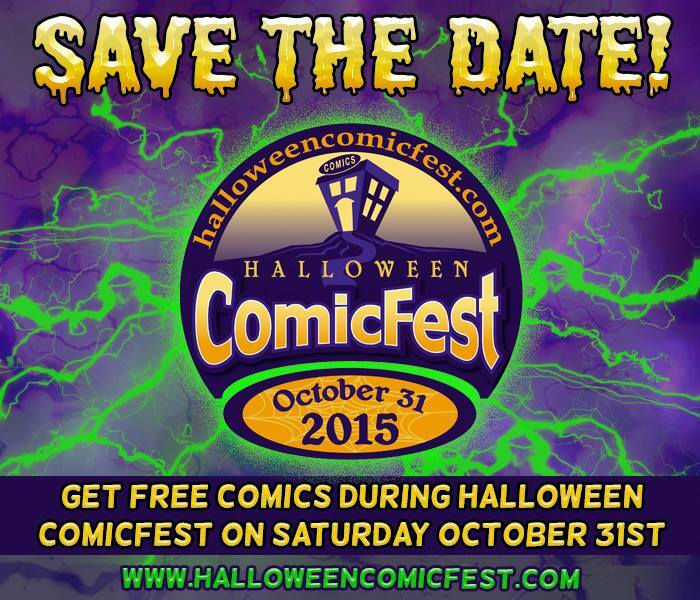 Halloween ComicFest FREE Halloween themed comic available in store & some other themed things going on, costume competition & working on some guests. Mike, and Martin Simmonds will be there with The Kill Screen, Dead Roots, and Samurai Slasher. Saturday the 31st October. Mike, Martin Simmonds, and Michael Stock will be there with The Kill Screen, Dead Roots, Eponymous, and Samurai Slasher. Saturday, and Sunday the 14th to the 15th of November. Wigan’s one and only Comic/Sci-Fi and Pop Culture Convention. Tickets are available on their website: www.wigancomiccon.co.uk or at their shop: Funky Figures! Mike will be there with The Kill Screen, and Samurai Slasher. Saturday the 5th of December.